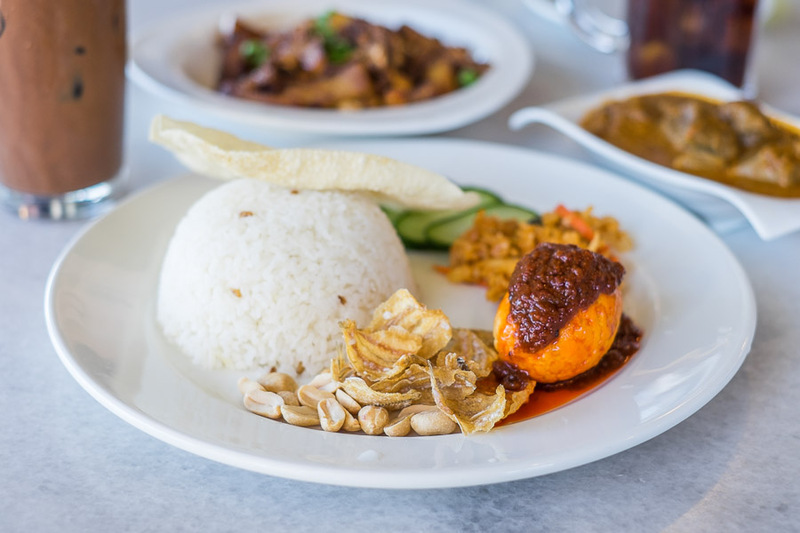 We’re lucky in Perth, especially south of the river – there are lots of good Malaysian restaurants to choose from. Here’s yet another. 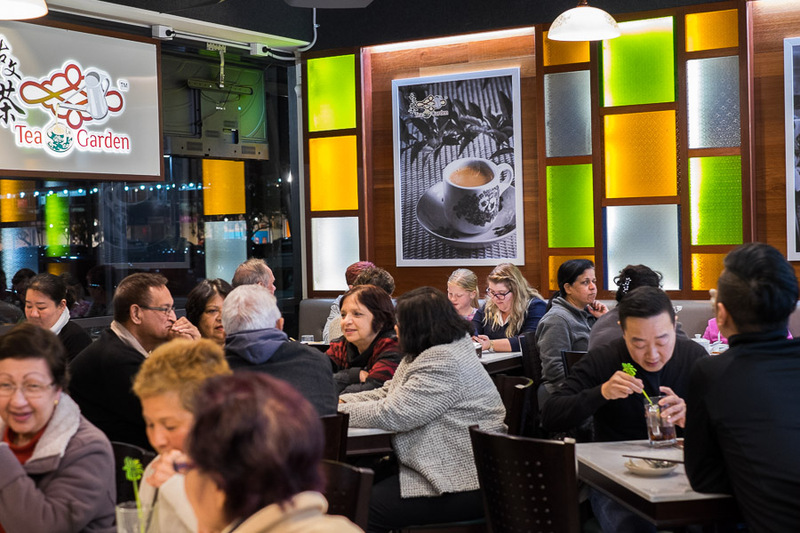 We had dinner at Tea Garden in Canning Vale for the first time more than six months ago, when it had only been open around a month. We really enjoyed it, but at the time I decided to wait until our next visit to blog about it, so I would have more pictures to share. The only problem was that for various reasons, it took us a long time to return. We finally made it back for breakfast before hitting the shops last Saturday. 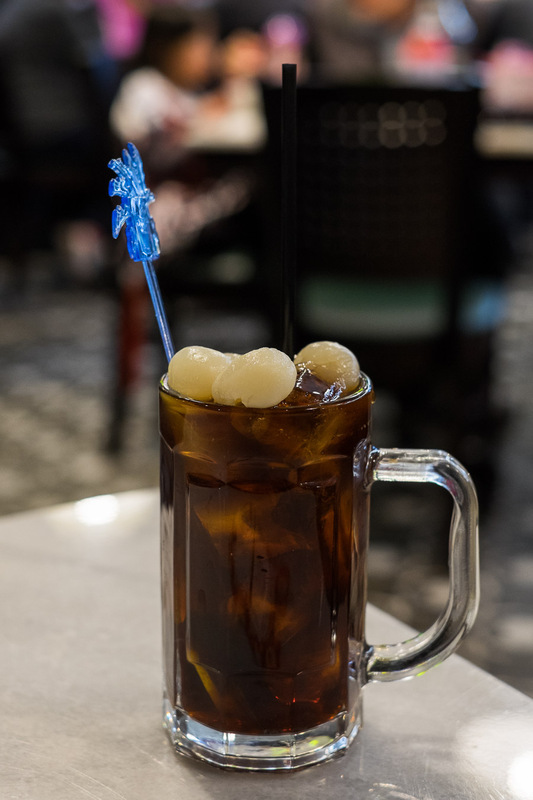 Jac’s drink on our first visit to Tea Garden, iced longan luo han guo with lemon (AU$5.50)- the luo han guo, also known as monk fruit, is native to southern China and northern Thailand, used in drinks (like this one), and as a sweetener, and in traditional Chinese medicine. This is a monk fruit tea, served on ice with fresh slices of lemon and finished with longans, the smaller, less famous relative of the lychee. 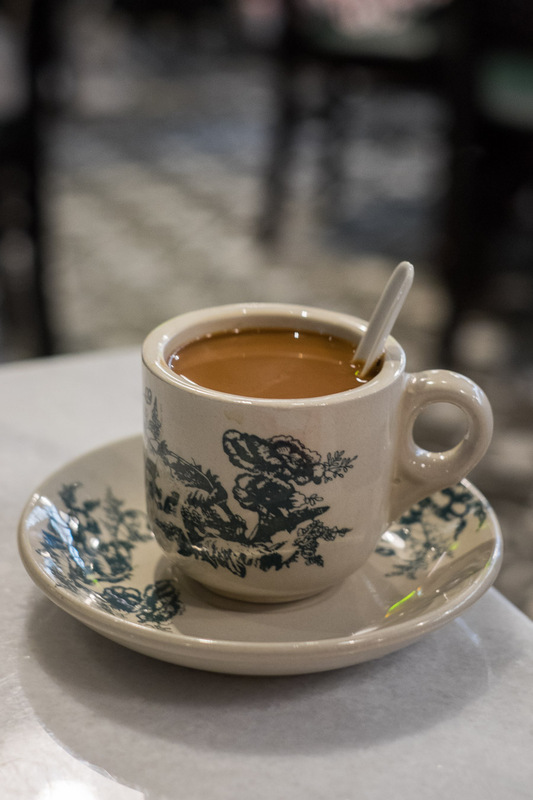 I had a hot cup of cham (AU$4.50), a mixture of coffee and tea, very sweet and strong. I also like the iced version, but get a special pleasure out of drinking from these vintage coffee shop cups. 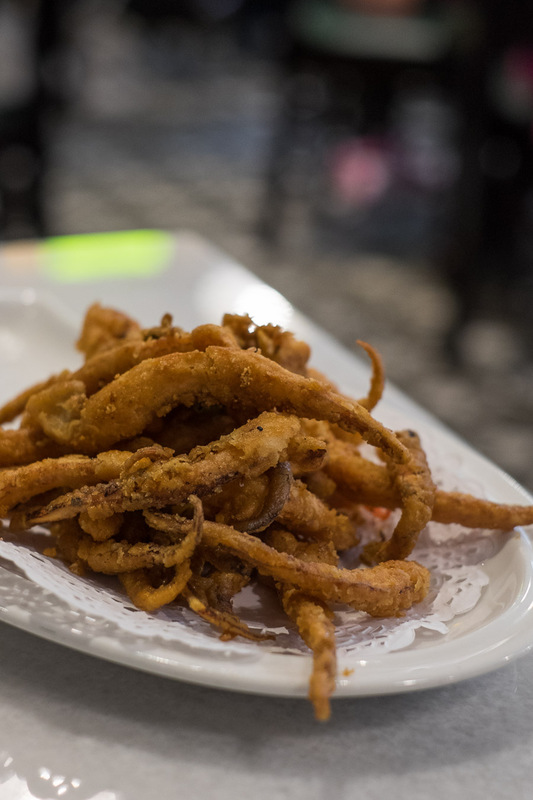 Deep-fried squid tentacles have become Jac’s standard starter whenever they’re on a menu. Tea Garden’s spicy squid tentacles (AU$8.80) were a little chewy, but nicely seasoned and quite tasty. 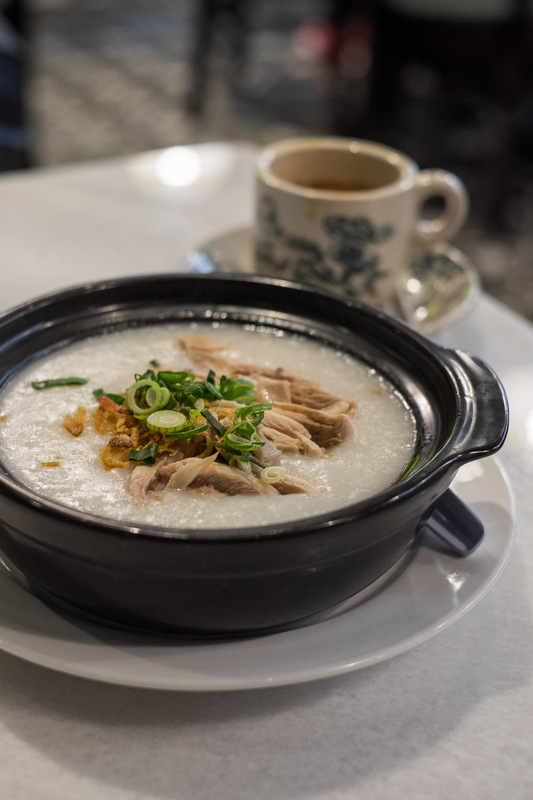 My bowl of comfort was the chicken congee (AU$7.80). It had a thick consistency (which I much prefer to watery) and was served with chopped chicken, spring onion and fried shallots. 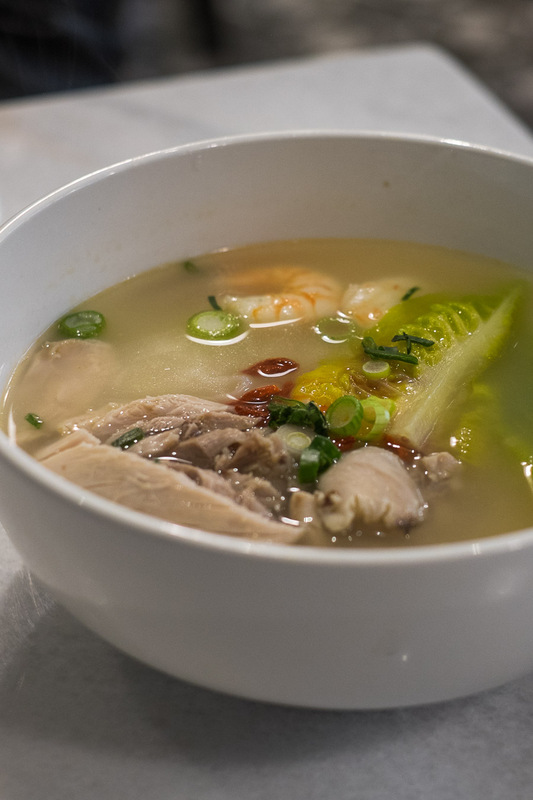 Jac’s bowl of comfort was the Ipoh hor fun soup (AU$11.80), with rice noodles (hor fun), chicken, prawns, goji berries and Chinese cabbage in a clear broth. The place was busy at dinner time, inside and outside. 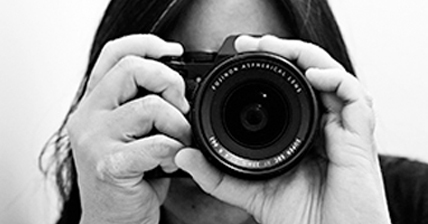 I didn’t want to make this post Tea Garden vs PappaRich, but some comparisons are inevitable. Both are franchises that originated in Malaysia (Tea Garden in Johor Bahru, PappaRich in Kuala Lumpur). We’re PappaRich regulars. Tea Garden opens from 9am daily, a whole one and half hours earlier than PappaRich. Tea Garden is not as close to home as PappaRich, but that earlier opening time may be the clincher for weekend Malaysian breakfast as we’re early risers seven days a week. I usually wake up hungry and even 9am is almost too late for me for breakfast, let alone the excruciating wait until 10.30am! Each restaurant has its unique dishes and strengths, of course. If I was in the mood for roti, for example, I’d choose PappaRich, no question. 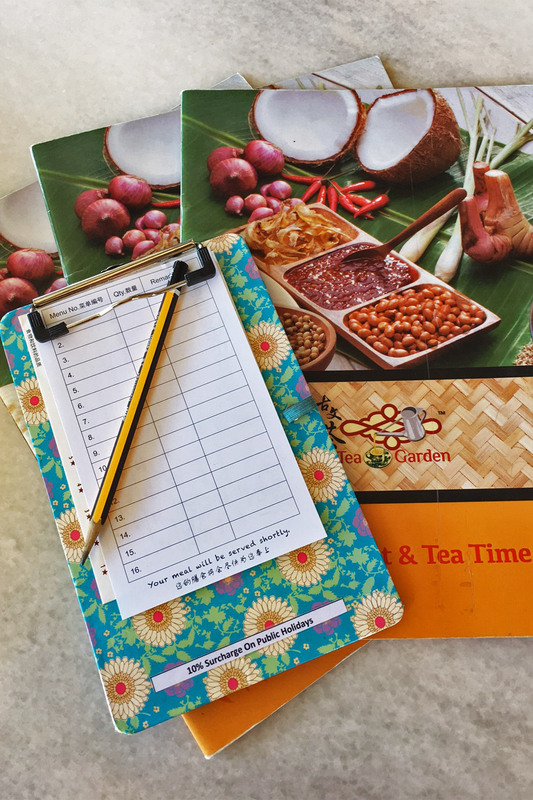 On our second visit, we ordered from Tea Garden’s breakfast and tea time menu. Like at PappaRich, a pencil and chit are provided for your order. This time, we ordered three dishes to share. 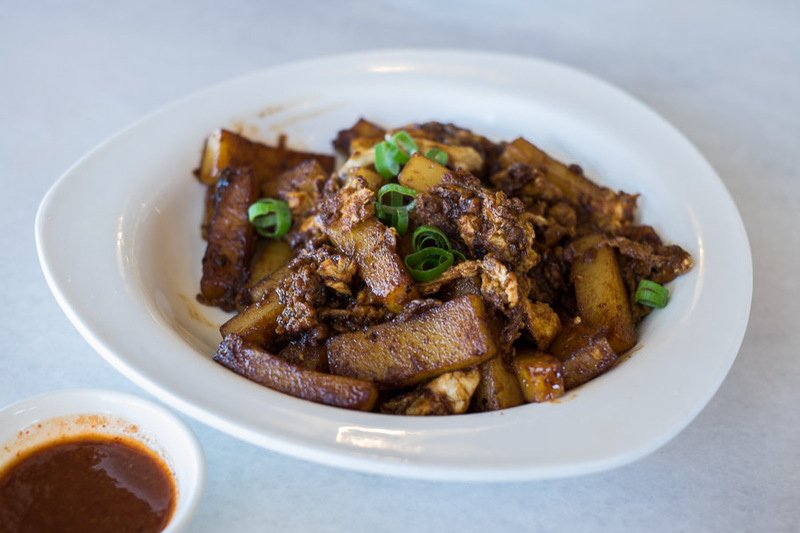 First was the char kway (AU$8.80), stir-fried with egg, chai poh (preserved radish – the magic ingredient for the authentic taste) and special dark soya sauce. 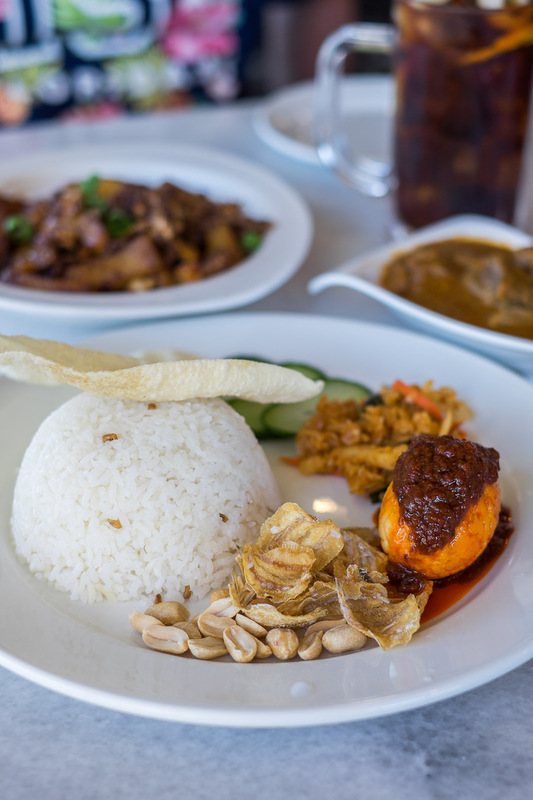 At Tea Garden, you can choose to have nasi lemak with fried chicken, curry chicken or lamb, or beef, lamb or chicken rendang. 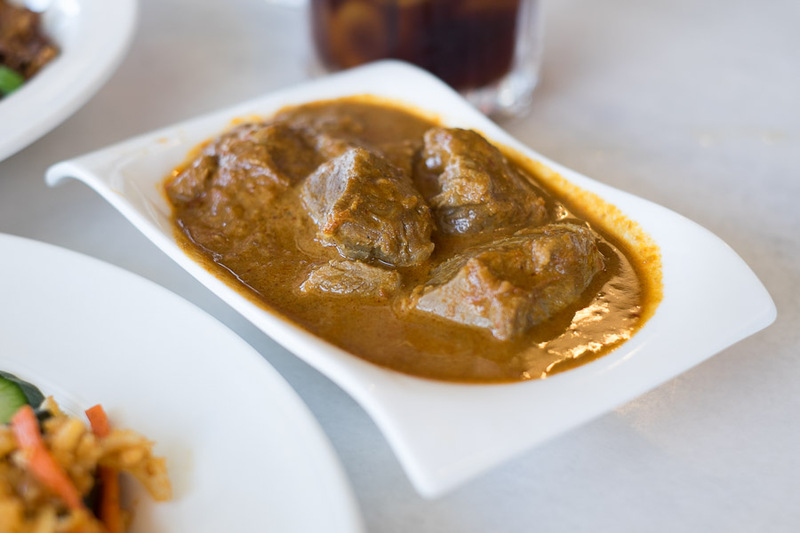 We chose lamb rendang (AU$14.80). All variations come with sliced cucumber, deep fried anchovies, peanuts, achar (vegetable pickle) and a fried hard-boiled egg smothered in sambal chilli (a la son-in-law egg – and it’s a whole egg, not half) – we were very impressed. The coconut rice was decent. Nasi lemak is available all day. I’m not sure if we were served lamb curry rather than rendang – rendang is usually much drier than this; still, we enjoyed and finished all the gravy. The chunks of lamb were flavoursome and tender. 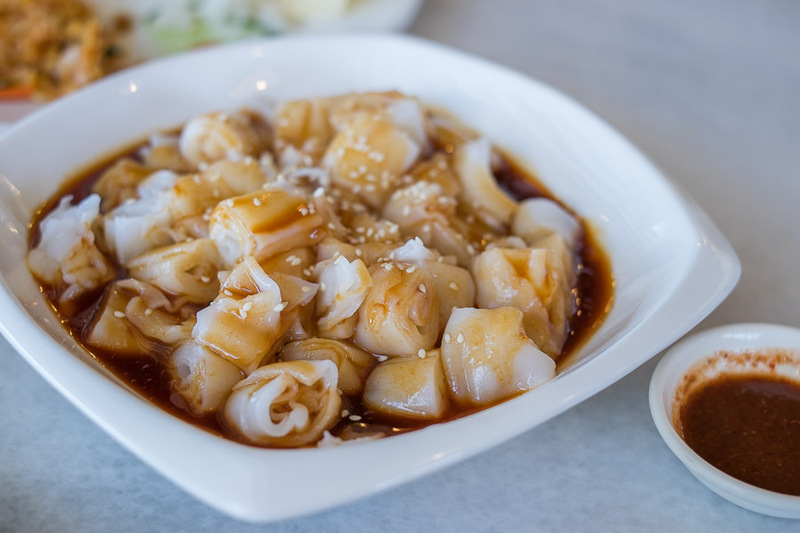 Our final shared dish: chee cheong fun with sweet sauce (AU$5.00). 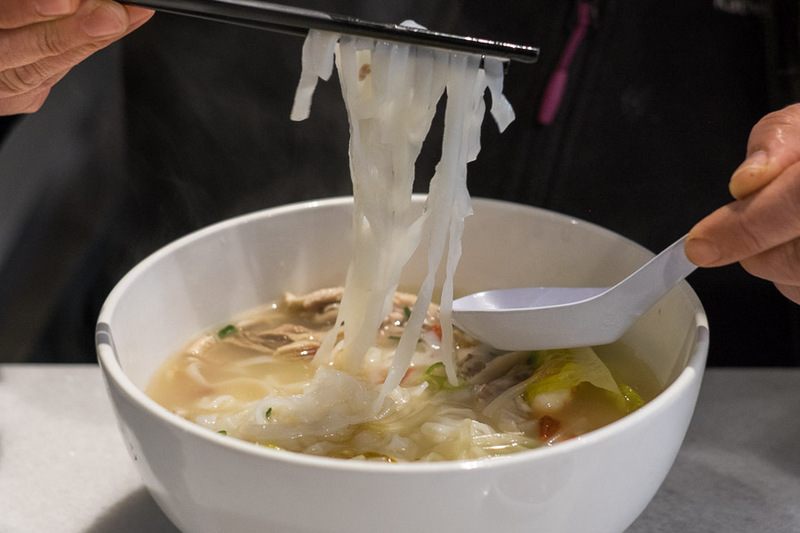 This is one of the simplest breakfast dishes, steamed rice flour noodles served with sauce and sprinkled with sesame seeds. I’ve loved it ever since I was a child, eating market stall versions back in Malaysia. 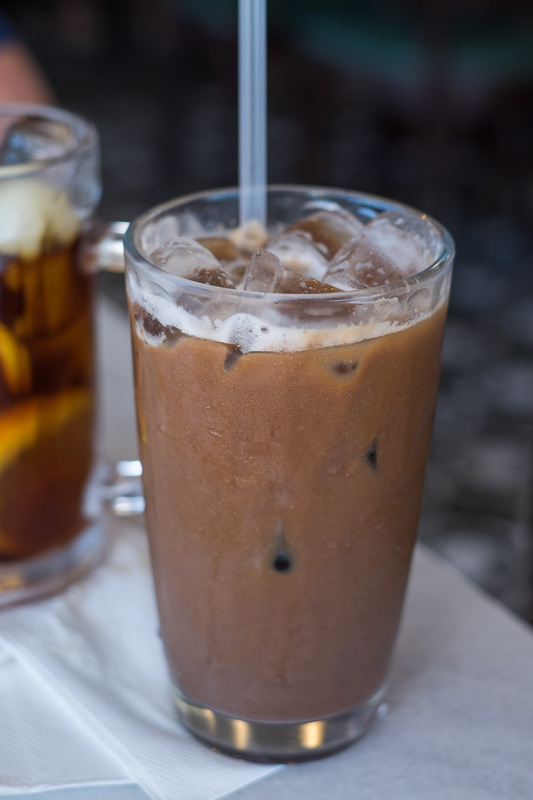 Jac had the same drink as before; I had a Iced Kopi (coffee) with Milo (AU$5.50). I guess you could call it a Malaysian mocha – again, very sweet and strong (do you spot a pattern?). There are Tea Garden locations throughout Malaysia and Indonesia. Tea Garden Market City opened in early June 2016. The restaurant is not halal-certified, but menu items contain no pork and no lard.